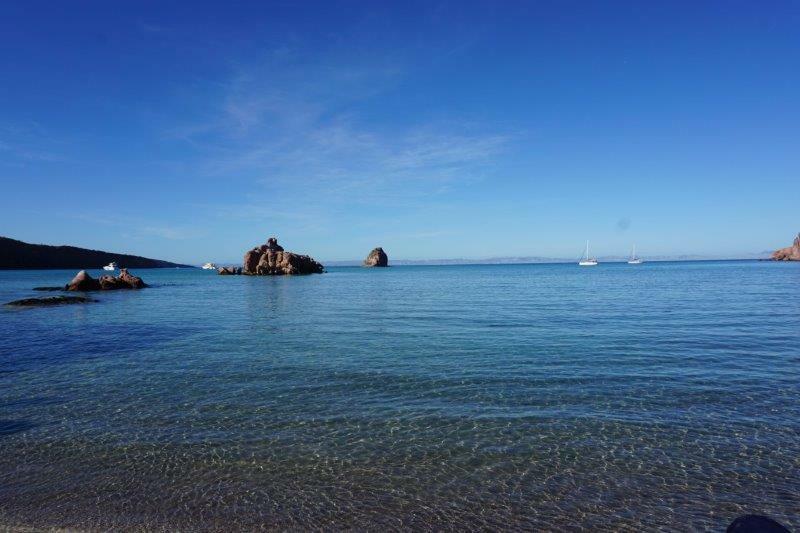 Imagine a stunning cruising area with warm water, a good sailing breeze, and uncrowded anchorages. Is it the Caribbean? No, it’s the Sea of Cortez. This is where you want to sail in 2019. 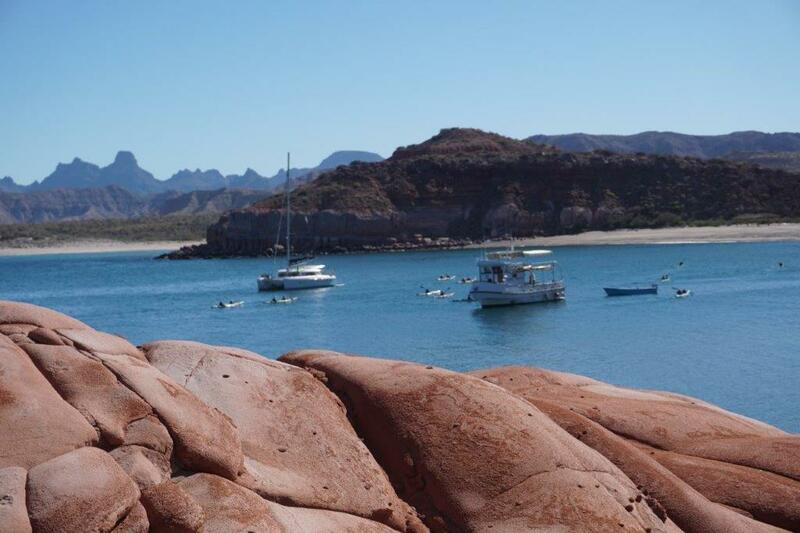 While you immerse yourself in the on-the-water training, your professional instructor will also show you what you really need to know about cruising the Sea of Cortez. You’ll experience one of the most stunning cruising grounds in North America, AND if you like, get your SLC (International Sailing License and Credentials) at the same time. How good is that? Read on for more. 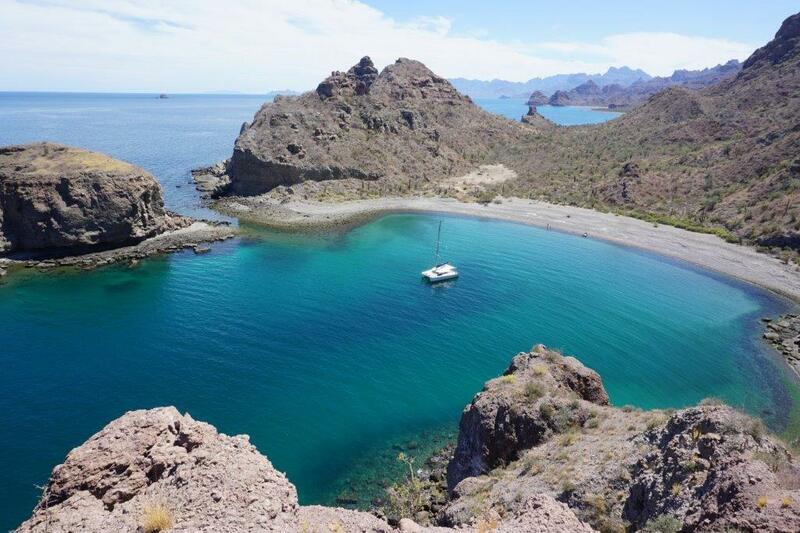 The Sea of Cortez is well known to adventurers, authors, and world cruisers. Scuba pioneer Jacques Cousteau called it “The World’s Aquarium.” John Steinbeck wrote The Log From the Sea of Cortez detailing his travels here, and legendary cruisers Lin and Larry Pardey spent much time here early in their decades-long journey around the globe. Many cruising sailors consider The Sea, as it’s called, their favorite cruising grounds, and a place you simply must visit. And despite all this, it has remained an uncrowded paradise for the sailor. You’ll wonder why you didn’t come here sooner. What’s the attraction? The amazing scenery is a large part of the draw. With the sharp and towering Sierra de la Giganta running down the spine of the Baja peninsula, there is almost no commercial development, and there probably won’t be any. And the sunsets and sunrises just won’t quit. This sunrise at Bahia Agua Verde, with just one other cruising boat nearby, is a sample of the stunning beauty that greets the cruising sailor. The sunsets are often so amazing, the conversation just stops. And when you wake up to hear the pattering of bare feet on deck and hushed “oohs” and “ahhs,” you know it’s time to grab your camera and get out of bed! Lack of commercial development, and the little remote villages that crop up help build the feeling that it’s just the Sea, the mountains, and a few hardy souls to witness you sailing by. You have to provision well because there are only few places where you can spend money after departing the marina in La Paz. At Isla Coyote, a tiny island populated by a few fishing families, we frequently buy fish but there is really nothing else available. They’ve told us some good D-cell and AA batteries are almost better than Pesos. The volcanic origins of the landscape combined with eons of wind and weather make for some amazing vistas. 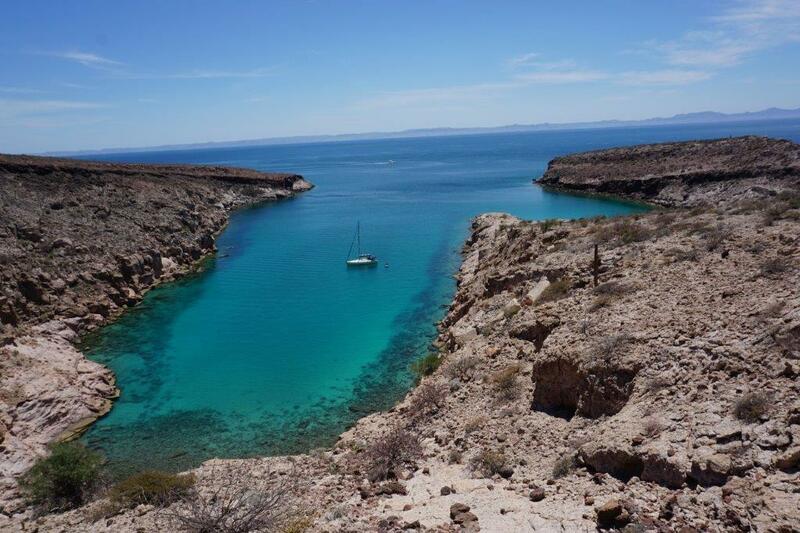 Caleta Candaleros Chico, above, was one of the most striking anchorages north of Bahia Agua Verde. Shown below, The Hook anchorage at Isla San Francisco is only about 45 NM north of La Paz, and is one of the most beautiful we’ve been to. The marine life is another amazing aspect of The Sea. The Mobula Rays leap out of the water regularly; we’ve had a pod of humpbacks swim under the boat; we’ve experienced snorkeling as good as, or better than, any we’ve had in the Caribbean, and we even had a night swim with a school of Mobula Rays surrounding our boat. In May this year, we anchored in the cove below on a slow cruise, and stayed for 2 days. There was a great collection of Chocolate Chip starfish, Protoreaster nodosus, along one side of the cove. There’s a good sailing breeze. 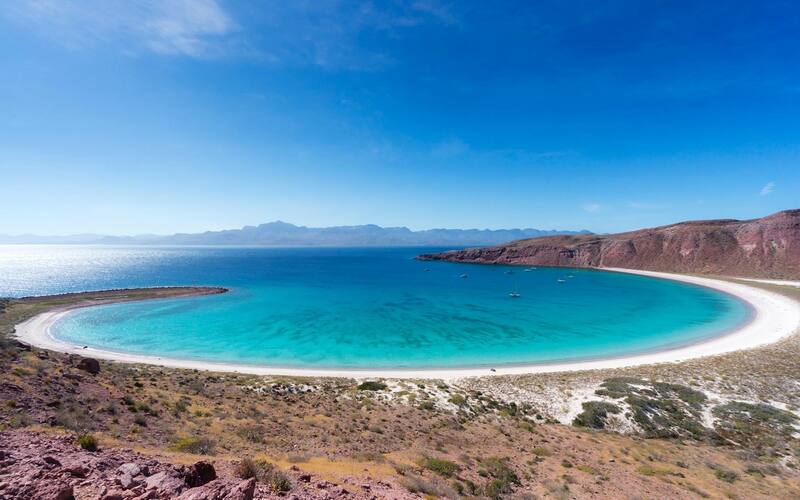 On any given week from November to May, the Sea of Cortez north of La Paz offers a combination of calm mornings, afternoon breezes from the north, and often a day or two of whitecaps and winds in the 20s. Sometimes a strong northerly with winds of 25-30 knots will last a couple of days, but those occurrences usually taper off by the end of March. The wind is predominately out of the north during the day, with the south-west Corumuel winds blowing at night later in the season. The Sea of Cortez cruiser’s Guidebook by Shawn Breeding and Heather Bansmer is a great resource to help decipher these patterns. 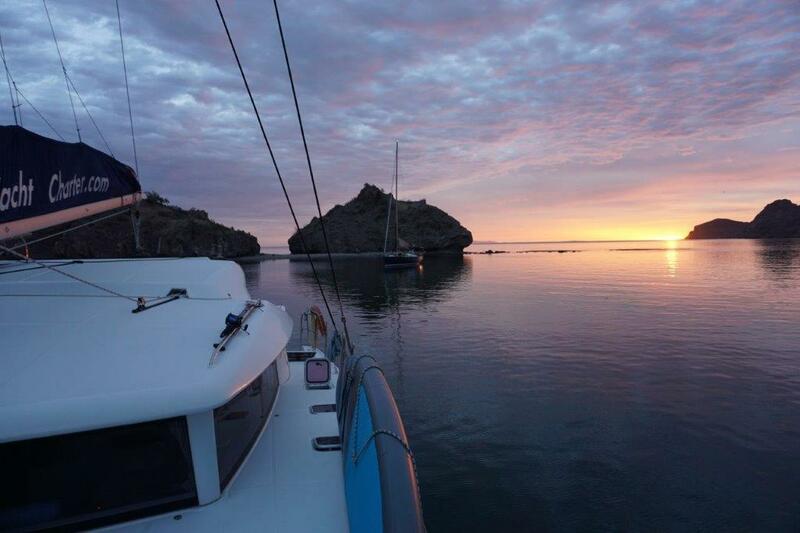 The CostaBaja Marina in La Paz is home to our favorite charter company, Dream Yacht Charters. We have gotten to know General Manager Ramon, his wife Tatiana, Ernesto who does the chart briefings and the maintenance staff and cleaning crew. They are a first class team all the way, and we have been very happy! 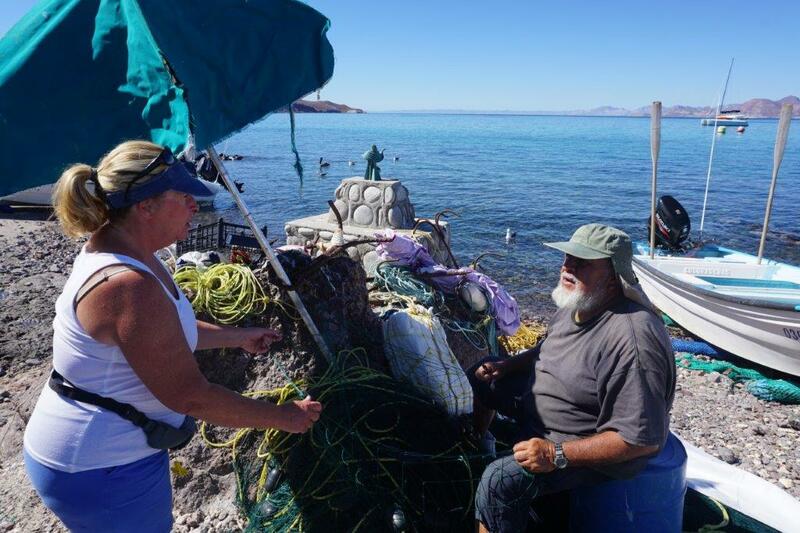 One of the best ways to experience the Sea of Cortez is to go with a pro who has been where you want to go, and can show you what you need to know. That’s what we do at Santana Sailing, with three different types of week-long sail training cruises. SLC and Bareboat Charter Master – Get preparatory training and the practical checkout for the International Sailing License, SLC. Advanced Cruise – Get your Bareboat Charter Master Rank and the SLC practical assessment with long sailing days and plenty of miles on Leg 1 (7 days) from La Paz to Puerto Escondido, Leg 2 (7 days) Puerto Escondido to La Paz, or both (14 days). Slow Cruise – Aspiring and experienced sailors get an introduction to the best these cruising grounds have to offer from a professional captain and instructor. Previous PostWhy Hire a Skipper for Your Sailing Vacation?